A unique club with exceptional facilities, a vibrant social scene and the home of every point racquets academy. You too can make this club your second home and take that first important step towards a healthy and fulfilling lifestyle. 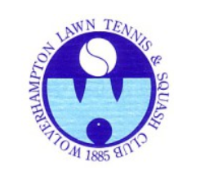 Predominantly a racket sports club with fun and fitness at the heart of everything it does. The club is open 7 days a week with access controlled by use of a personalised door fob. If you would like to be part of something special then why not come and meet the team? Our highly trained professionals are here to help you get back to your normal daily life, pain free! We provide tailored to suit the individual. This can either in one of our clinics, in the comfort of your own home or in a care home. With a large range of experience, including working with children, amateur and elite athletes, spinal cord injuries and neurological conditions, we have the skills and the knowledge to help.